While teaching at an academy in the United States, I (LS) asked students to write personal-experience stories. One student, a girl from Burma, turned in a painstakingly written account of her experiences coming to the United States from a refugee camp in Thailand. Unfortunately, despite all her hard work, her story made little sense in English. Since the paper needed a major overhaul, and we lacked the time in class, I invited her to my house. Starting at the beginning, we talked through her story step by step, crafting it on the computer as the details emerged from her memory. Yes, the writing came from me, but the story was hers. I believe that by giving her a voice in English, I was not only building her language abilities, but also bringing her story to life. Helping students to write across a language barrier is not always such a drastic process. Writing, however, is arguably one of the most cognitively demanding things that we do in school, and for that reason, it poses significant challenges to second-language learners and the teachers who work with them. Educators worldwide face a growing challenge as migration brings learners from other parts of the world. According to the United Nations Economic and Social Council, in 2010, three percent of the world’s population lived outside their country of origin.1 In the United States, where we work, more than nine percent of American public school students—some 4.6 million, according to 2014-2015 statistics—were classified as English-language learners.2 Migration is a global trend, with more diverse sending and receiving countries than in the past. Teachers in more and more countries now face the daunting challenge of working with learners struggling to write across a language barrier. Writing demands linguistic knowledge, fluency, and rhetorical expertise. Since writing is a productive rather than receptive skill, writers need sufficient vocabulary and the ability to construct sentences in the new language. Further, they need knowledge of the writing system for that language, including spelling and punctuation rules. In addition—and this is often overlooked—a skilled writer needs to know what different types of documents look like and how they are constructed. What is appropriate and typical varies with the genre—poem or personal letter, blog or résumé, book report or literary analysis paper. Writing is a skill learned through experience in different settings where expectations about language, style, and structure may also differ widely. Learning to write―in any language―is a lifelong process. Younger learners can more easily surmount the obstacles posed by crossing a language barrier, not only because they study more basic materials, but also because they have a language learning advantage. Research suggests that, if in an immersion situation, younger learners can attain native-like proficiency in a few years. Jill Fitzgerald’s survey of 56 studies of multilingual writing in preschool through 12th grade uncovered few surefire solutions, but several studies did show that preschool and primary learners developed very similarly to native speakers of the same age group.3 In general, second-language-acquisition research supports the perception that younger learners have an advantage in terms of developing a native-like intuition about grammar patterns in a second language. The sensitive period for language learning seems to diminish around puberty, possibly because of neurological changes that take place around that age.4 For this reason, emotional support from teachers may help younger students adjust to learning in a new language, but providing specific instruction is not linguistically vital. Therefore, for the rest of the article, we will offer recommendations about learners who are not conversationally fluent in the language in which they are writing and who are approaching or have passed puberty—in other words, those over the age of 12. One of the most hotly debated challenges in teaching writing to second-language learners is how to effectively give them feedback. The literature is inconclusive about whether direct correction or student self-correction works best in the long term.5 For example, some teachers correct every error on every assignment, but this time-consuming process may not help students write better. Other teachers believe that students should correct their own errors (self-correction), but this may not always be effective, either.6 Most teachers rely on common sense, varying the approach to fit the learners and the purpose of the assignment. Hyland and Hyland observe that “Teachers respond to students in their comments as much as texts, and experienced teachers often tailor their feedback to suit each student, considering their backgrounds, needs and preferences as well as the relationship they have with them and the ongoing dialogue between them.”7 Ultimately, teachers should keep the learners’ needs at the forefront. Language learners may find it daunting to read materials beamed to their own age group, but books for elementary stu-dents and even pic-ture books with a few sentences on each page can provide valuable exposure to written language and new vocabulary. When a writer makes many language-related mistakes, teachers tend to focus their energy on those areas, often neglecting content as a result. However, the ideas shared by language learners are as meaningful as those of the other students in the classes. Teachers should strive to look past students’ language errors and hear what they really have to say. I (AL) often read written assignments at least once without marking any mechanical errors in order to intentionally give feedback about content. I (AL) often correct all the errors on my students’ short, in-class journaling assignments. I don’t take off points for their mistakes, but when I return their papers, I ask them to review the corrections. They often exclaim, “Wow, I didn’t realize I made so many mistakes!” This exercise should not be discouraging, which is one reason we don’t recommend correcting all errors on every assignment. But periodic error correction will give students a realistic idea of areas in which they need to improve. In some circumstances, indirect feedback may be helpful as well. In this type of feedback, the teacher draws attention to errors without correcting them; for example, underlining each instance or using an error coding system. In this type of system, a teacher might use a “V” to refer to problems with verb tense, a “C” to denote comma errors, and so on. Coding goes a step beyond underlining by directing students’ attention to the types of mistakes they frequently make and pointing them toward the correction. Both types of indirect feedback work best for easily defined types of errors. If students already understand the grammatical principle behind the error, they will often be able to correct it themselves just by having their attention drawn to it (like problems with pronouns, articles, and even verb tenses). However, fixing other errors presents a challenge. For example, writing “wrong word” may not help the student find the right word. Instead, it may be helpful to provide suggestions, perhaps by underlining a phrase and, above it, writing how a native speaker might typically convey the idea. In one recent example, a student wrote that CD’s were “a common thing to listen to music.” The teacher underlined the word thing and, in class, pointed out that a more appropriate word was way. Since marking all errors can be time-consuming, even if indirect methods are used, it may be helpful at times to focus the feedback on certain areas. Ferris and Hedgcock suggest focusing on serious errors—those “interfering with the comprehensibility of a text”—and those that are “frequent” or “stigmatizing.”11 Alternatively, teachers may choose to focus on a grammatical concept that has recently been covered in class or a recurring problem for this particular student. Whatever type of feedback teachers choose, they should also remember the value of positive feedback. In other words, when we catch students using authentic, native speaker phrasing, we can let them know that they “got it right.” Language learning is a constant search for feedback. Learners get positive feedback when they try something that “works.” Since what works can diverge from what fluent speakers do, letting the learner know that something both works and matches usual practice can be valuable feedback and positively reinforce the things the learner is doing right. 1. Enhance the regular language-arts lesson with materials explicitly designed for non-native speakers. 2. Encourage outside reading. Reading and writing have a close relationship. Reading helps learners develop the knowledge of the components of written language that correlate with success in writing.13 This is particularly true in the area of vocabulary development. For both native speakers and language learners, significant exposure to oral language may be insufficient to develop a strong vocabulary. Anne E. Cunningham and Keith E. Stanovich point out that nearly all written sources outstrip oral sources for improving vocabulary. For vocabulary development, students will benefit more from reading preschool books than listening to college graduates holding a conversation.14 Language learners may find it daunting to read materials beamed to their own age group, but books for elementary students and even picture books with a few sentences on each page can provide valuable exposure to written language and new vocabulary. 3. Use peer tutoring to supplement instruction by the teacher. In immersion contexts, peer tutoring can be an excellent way to help students build skills. One young refugee arrived as an academy freshman with almost no English skills, not even the ability to hold a simple conversation. Lacking the resources to deal with her situation, the best I (LS) could do was to set her up with two student tutors, one for an hour in the morning and one for another hour in the afternoon. Over the course of the year, these tutors shifted from working on basic conversational skills to providing guided help with assignments. Without much direction from me, these high school students were able to perceive the refugee student’s needs and adapt as her abilities grew. In fact, one of the tutors built such a strong bond with the student that she arranged for an intensive period of tutoring during the summer. Inviting the student to her home, the tutor helped her work through the history and English requirements for 9th grade, a plan that ultimately allowed the student to catch up and graduate on time. Peer tutoring can often supplement classroom instruction and, in some cases, it may be the only customized approach available. 4. Within each lesson, use pair and group work. When students are working in mixed groups of native and non-native speakers, activities such as collaborative writing and peer review can help both groups. The native speakers benefit from constructing meaning and giving feedback. However, the language learners may make valuable contributions in these areas as well. We once had a college student who took three semesters of ESL writing before progressing into the standard English Composition sequence. She felt very insecure about participating in peer review. We reassured her that the time she spent in the additional writing classes would pay off. During our first peer-review session, she found she had several valid suggestions regarding her classmate’s paper. This experience justifiably increased her confidence in her own writing abilities. At its most effective, writing instruction involves coaching and mentoring. Nowhere is this truer than when working with students who are also becoming familiar with a new language. By enriching their writing pedagogy with additional linguistic feedback through selective correction, peer tutoring, activities that call attention to language patterns, and revision opportunities, teachers can make the process more productive for language learners. Everyone who teaches writing grapples with polar challenges—providing feedback that encourages and yet guides, demonstrating conventional usage while still fostering creativity. Both the challenge and the reward come from our interactions with the individual learners, seeing them grow and change before our eyes. Laurie Stankavich, MA, is an Assistant Professor of English at Southern Adventist University in Collegedale, Tennessee, U.S.A. She completed a BS at Andrews University, an MA from the University of Texas, Arlington, and is currently pursuing a PhD in English at Old Dominion University in Norfolk, Virginia, U.S.A. 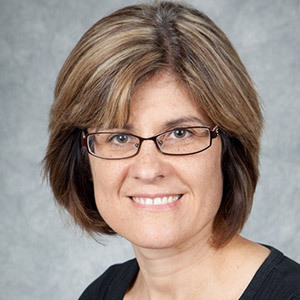 Prior to her appointment at Southern Adventist University, Ms. Stankavich served as a language-school director in Taiwan and has taught English and ESL in China, Costa Rica, Korea, Taiwan, California, and New York. Her areas of research interests are writing studies and rhetoric. 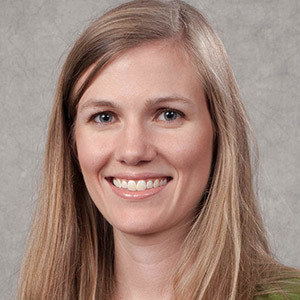 Amanda Livanos, MA, is an Assistant Professor of English at Southern Adventist University (SAU). She received a Master’s in Teaching English to Speakers of Other Languages (TESOL) from Andrews University in Berrien Springs, Michigan, U.S.A. Since 2010, she has taught ESL, TESOL, and writing. Ms. Livanos has served as the Writing Committee Chair and is currently the Composition Coordinator at SAU. Additionally, she has taught ESL courses internationally and in a variety of community settings. Laurie Stankavich and Amanda Livanos, “Including Second-language Learners in the Writing Classroom,” The Journal of Adventist Education 79:4 (July-September 2017): 16-19. Available from https://jae.adventist.org/en/2017.4.4. United Nations Economic and Social Council, “New Trends in Migration: Demographic Aspects” (April 22-26, 2013): http://www.un.org/esa/population/cpd/cpd2013/SGreport13February.v2_changes.accepted.FP_advance%20unedited%20version_converted.pdf. “English Language Learners in Public Schools,” National Center for Education Statistics, last modified March 2017: http://nces.ed.gov/programs/coe/indicator_cgf.asp. Jill Fitzgerald, “Multilingual Writing in Preschool Through 12th Grade,” in Handbook of Writing Research, Charles A. MacArthur, Steve Graham, and Jill Fitzgerald, eds. (New York: The Guilford Press, 2006), 344, 345. Lourdes Ortega, Understanding Second Language Acquisition (London: Hodder Education, 2009), 12-22. Ken Hyland and Fiona Hyland, “Feedback on Second Language Students’ Writing,” Language Teaching 39:2 (April 2006): 88. Sang-Keun Shin, “‘Fire Your Proofreader!’ Grammar Correction in the Language Classroom,” ELT Journal 62:4 (October 2008): 360. Jean Chandler, “The Efficacy of Various Kinds of Error Feedback for Improvement in the Accuracy and Fluency of L2 Student Writing,” Journal of Second Language Writing 12:3 (August 2003): 291. Dana Ferris and Barrie Roberts, “Error Feedback in L2 Writing Classes: How Specific Does It Need to Be?” Journal of Second Language Writing 10:3 (August 2001): 177, 178. Dana Ferris and John Hedgcock, Teaching ESL Composition: Purpose, Process, and Practice (Mahwah, N.J.: Lawrence Erlbaum, 2005), 266, 267. Lourdes Ortega, Understanding Second Language Acquisition (London: Hodder Education, 2009), 34. Timothy Shanahan, “Relations Among Oral Language, Reading, and Writing Development,” in Handbook of Writing Research, Charles A. MacArthur, Steve Graham, and Jill Fitzgerald, eds. (New York: The Guilford Press, 2006), 175, 176. Anne E. Cunningham and Keith E. Stanovich, “What Reading Does for the Mind,” American Educator 22 (Spring/Summer 1998): 3. Tanya Covic and Mairwen K. Jones, “Is the Essay Resubmission Option a Formative or a Summative Assessment, and Does It Matter as Long as the Grades Improve?” Assessment & Evaluation in Higher Education 33:1 (February 2008): 75-85. Mansoor Fahim and Shahriar Jalili, “The Impact of Writing Portfolio Assessment on Developing Editing Ability of Iranian EFL Learners,” Journal of Language Teaching and Research 4:3 (May 2013): 496-503.